After 2/22/2019 a fee of $10.00 will apply to all Adult Registrants. 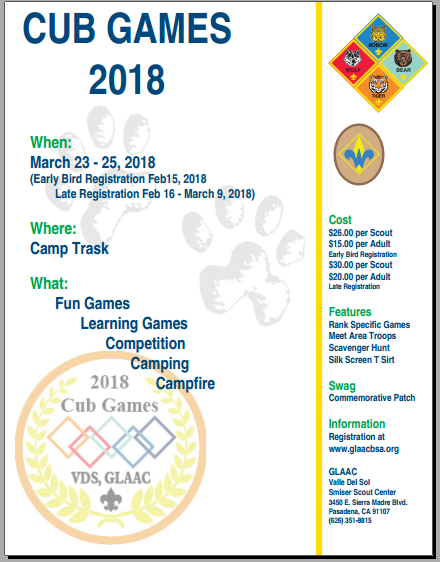 After 2/22/2019 a fee of $9.00 will apply to all Cub Scout Registrants. 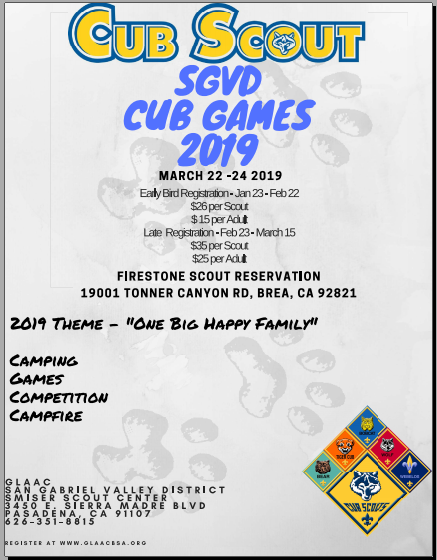 After 2/22/2019 a fee of $10.00 will apply to all Non-Participating Sibling Registrants. After 3/1/2019 a fee of $4.00 will apply to all T-Shirt Registrants. Cancellations must be made before February 22 in order to receive a full refund. After February 22 all transactions are final and there will be no refunds.